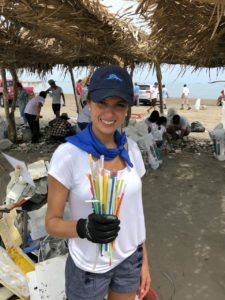 Mariana Soto, Executive Director of Plastic Oceans Mexico. The event had an incredible turnout. Around 150 people showed up and were transported in ADO buses to the beach (Thank you ADO for your support!). 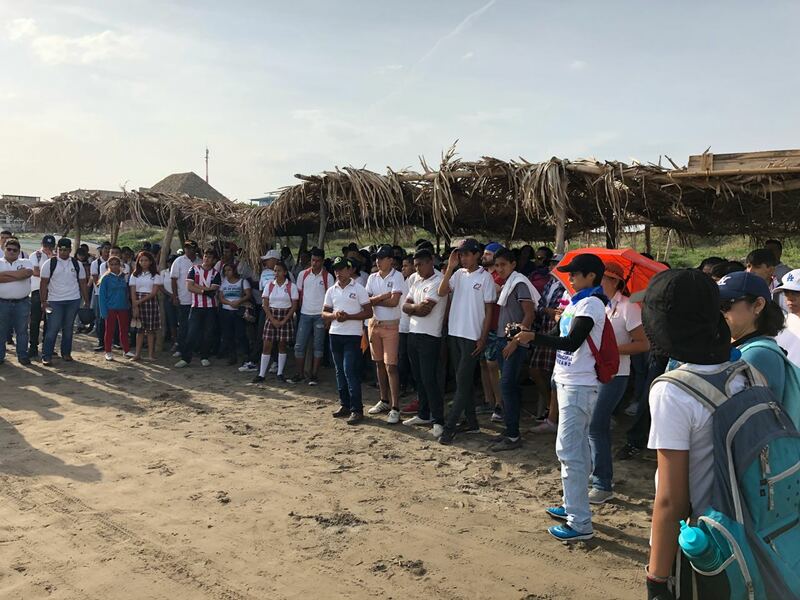 We cleaned area of about 1,000 meters length by 20 meters width of Anton Lizardo Beach, where we collected about 720 Kgs of garbage – out of which 50% was plastic being more than 50%, single use plastic. Great amounts of material could be allocated in different recycling centers to give it a second life thanks to Ecolana and their network. 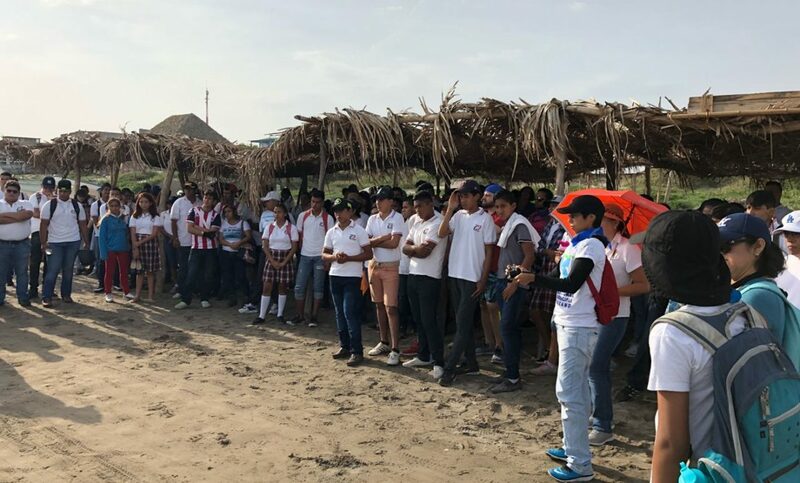 The event was followed by a presentation at the Acuario de Veracruz, where A Plastic Ocean was screened followed by a Q&A session. To all our collaborators, Thank You. To La Parroquia for the 60 volunteers that helped us clean up, Cerveceria La Heroica and La Antigua for the delicious beers and tortas, Ecoosfera for covering the event, to Renovare for the clean up equipment, Sea & Reef for helping us out on the scientific aspects of the clean up and follow up, Telebachillerato Anton Lizardo, Restaurant Dos and Cahcarrito for the numerous hands and energy, El Acuario, CONANP and SEMARNAT for your big support throughout the entire event. This is just the beginning of a big #waveofchange.